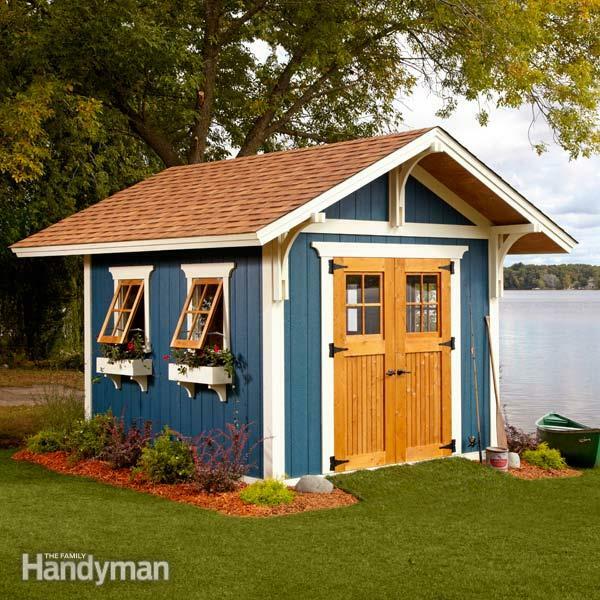 If you are a homeowner who mows their own lawn and snow-blows their own driveway, you will probably have a need for a shed. During the winter months, it is nice to stash the mower and garden implements away and make room for the snow removal equipment. I do realize that half of the country might read this and wonder what we are talking about, but those in snow areas will understand. Family Handyman is a fantastic magazine that I have enjoyed for years. 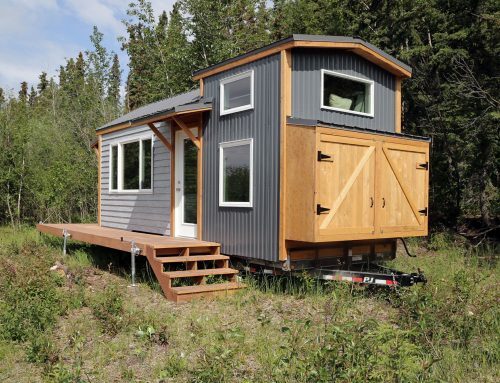 The following shed plan was featured in 2013 and is a perfect project for someone who doesn’t want the run of the mill, pre-built, shed that can be dropped on site. Those are typically boring, vinyl sided, and nondescript. 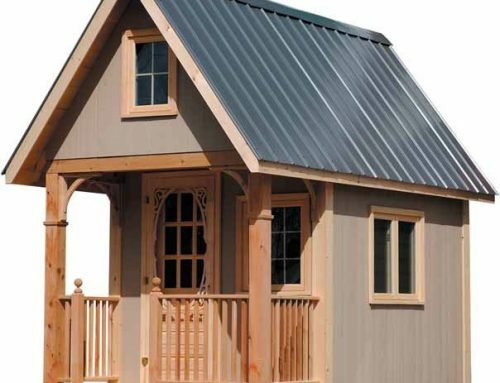 The following shed is a real thing of beauty and includes custom windows and doors (site-built) along with features that make any structure jump out such as corbels/brackets. Visit Family Handyman using the link below. 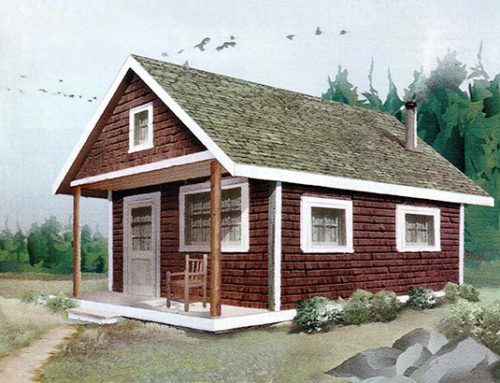 You will find the free construction drawings to build your own shed along with the complete material list. 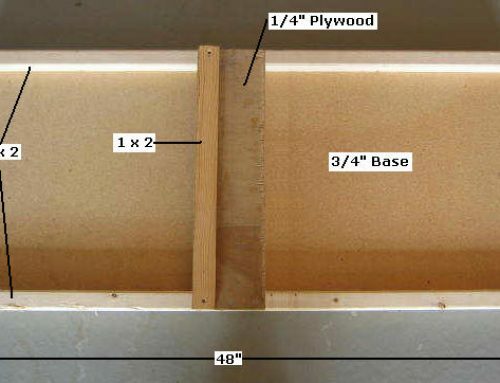 If you want to purchase the back issue that includes the complete article to go along with the plans, you will find them in the July/August 2013 issue of The Family Handyman. 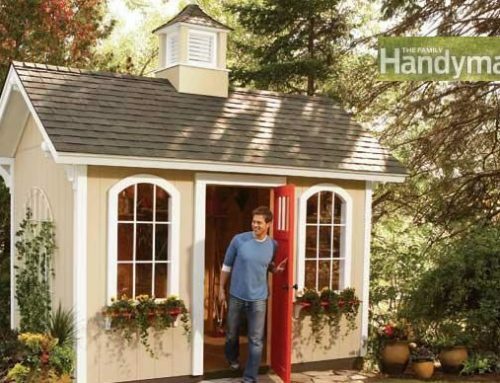 Dream Shed Made Easy: The Family Handyman.